Quality stator replacement for Aprilia Atlantic 250 300.With 18 Coils and 2 cables.OEM stator for Aprilia scooter application.Brand new stator core made of high quality cooper that has very low magnetic resistance. Highest grade copper wire for the windings which are installed using computer controlled winding machines for optimum results. 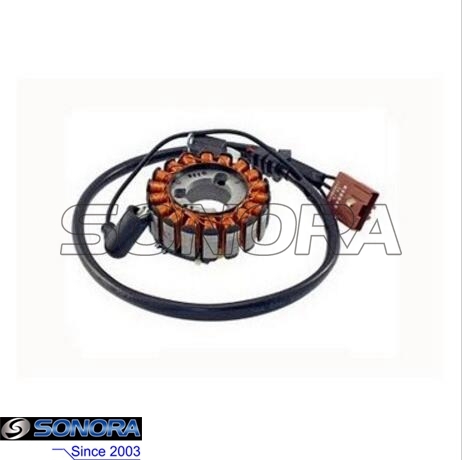 Looking for ideal Aprilia Atlantic 250 Stator Manufacturer & supplier ? We have a wide selection at great prices to help you get creative. All the Aprilia Atlantic 300 Stator are quality guaranteed. We are China Origin Factory of Aprilia Scarabeo 250 Stator. If you have any question, please feel free to contact us.